I wholeheartedly recommend doing an engagement portrait session. 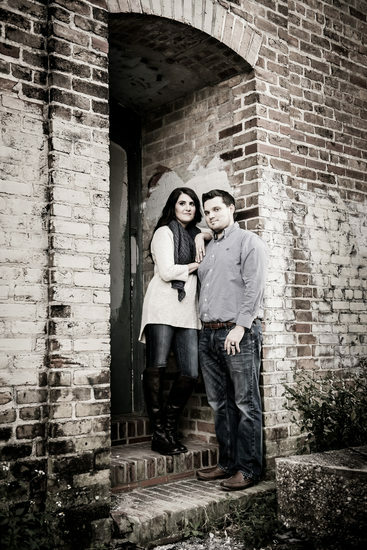 What is an engagement portrait? It’s a portrait session with the couple, usually (but not always) at an outdoor location, most often in casual outfits, in most cases taking place well before the wedding day. The main purpose of an engagement portrait is, of course, to capture some nice photographs of you and your fiance, both just for the sake of having them, and to use for wedding-related things. But it also gives the three of us an opportunity to work together and get to know each other a bit more, plus helps get you used to being photographed if this is something you are not accustomed to or are very comfortable with. Think of it as a “warm-up” for the wedding day itself. 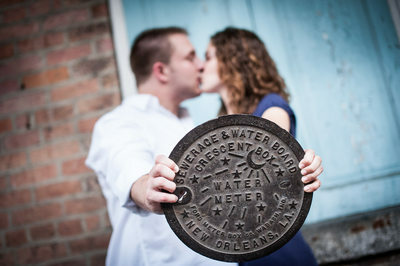 New Orleans is a perfect city for engagement pictures, and although most of the couples I photograph are also my wedding clients, I've also done plenty of engagement portrait sessions for couples who are getting married elsewhere but love this city and have a deeply felt connection to it. I typically do portrait sessions on weekday afternoons / evenings, and we’ll want to plan to get started about one hour before sunset for the best light. The most comfortable times of the year for outdoor photography are Spring and Fall, and Winters down here typically aren’t too bad either. If you happen to book me right before or during Summer, you might want to try to wait until late September for the engagement session if possible. However, if your wedding is coming up too soon, or if Summer is the only time you and/or your fiance are available due to work or school schedules, waiting might not be an option. If a warmer time of year is the only choice for scheduling your session, don’t sweat it (see what I did there?). As long as we’re not out in the direct sun (which we usually won’t be), though it will certainly still be hot, it likely won’t be unbearable as long as you are dressed comfortably. But for a Summer portrait, an even better option is to do an early morning session instead, as mornings will be quite a bit cooler than evenings. 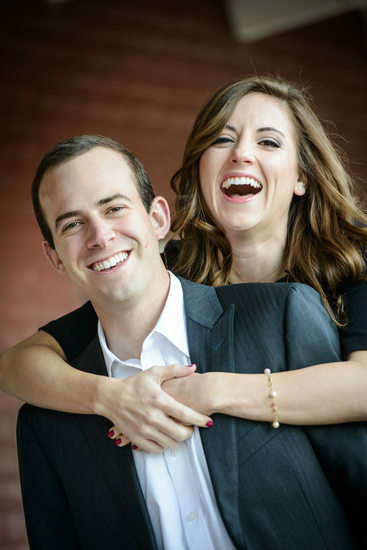 Though this may sound like common sense, it never actually occurred to me until I had a destination couple who had come into town for some wedding planning activities, and the only time they could do their engagement portrait before heading back home was in the morning. Because it worked out so perfectly, I now encourage other couples to do so as well if uncomfortably high temperatures will potentially be an issue. Another benefit, particularly for French Quarter shoots, is that the crowds will be significantly smaller in the morning, which gives us more flexibility on locations and also generally makes for a calmer, less hectic (and more romantic) environment. 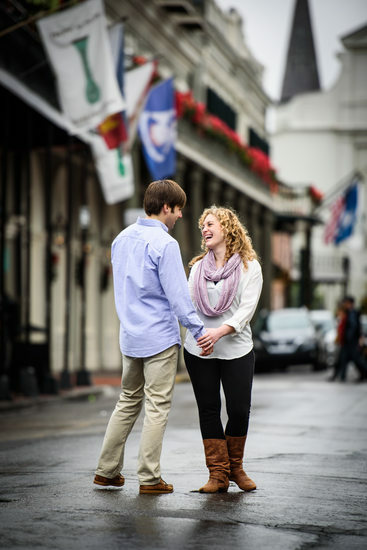 In the New Orleans area, the French Quarter is the most popular location for these shoots. There’s an abundance of visually interesting doorways, walls, and building facades that all make for excellent backgrounds, and make for very recognizable NOLA photographs. For couples seeking a more natural setting, City Park and Audubon Park both feature lots of majestic oak trees, Spanish moss, lagoons, and bridges. On the Northshore, Fontainebleau State Park in Mandeville, Fairview-Rivserside State Park in Madisonville, and Camp Salmen Nature Park in Slidell are beautiful locations to shoot at, though Camp Salmen's hours are somewhat limited. But you are certainly not restricted to just these options. You might have a particular location in mind that has sentimental value or that you find visually appealing, such as your own neighborhood, a farm, your family’s hunting camp, a park where your fiancé proposed, the beach, a favorite bar, and so on… I’m always open to my couple’s wishes, and enjoy shooting in new locations. The most important thing is to wear what is comfortable and “you”. If you are a blue jeans kind of couple, don’t feel compelled to wear much dressier outfits just because you are having your picture taken. You want to look nice, of course, but you also should not wear outfits that are so out of character for you that you feel awkward in them. Likewise, if you are both snazzy and fashionable dressers. The main goal is to capture images that represent who you are as a couple. And although the traditional advice is for you to wear outfits that are similar in terms of how dressy they are, my view on this is that if you are known as being a couple where one of you is always wearing something fancy and the other is typically more casually dressed, it’s not necessarily a bad thing to incorporate these differences into the portrait. I don’t get too particular when it comes to making suggestions about colors, though in general more neutral solid colors tend to work better than bold and bright colors and patterns. My main request is that you don’t both wear the same colored shirts, as that tends to subconsciously make the two of you blend into one large shape. Lastly, comfortable shoes are highly advisable. We’ll be doing a lot of walking, especially if we’re shooting in the French Quarter. If the shoes you would like to wear in the photographs are not suitable for walking, you should bring a comfortable pair to change into as needed. Some couples choose to do an outfit change, which is a great solution if you can’t decide between a fancier outfit and something more casual… do both! But some advance planning may be needed to ensure efficient usage of the time we have available and to make sure you have a place available to change, so let’s discuss that beforehand if you are going that route. Absolutely, if a dog is an integral part of your relationship, by all means bring this treasured family member along! A park may be a better choice for this kind of shoot than a more urban area. Chances are, you won’t want your dog included in all the images, so bring a way to secure the leash to a nearby tree as we shoot just the two of you. Alternatively, what couples sometimes do is arrange for a friend or family member to take the dog after we've done a few photos, or to bring the dog to us when we're near the end of the session to do those as our final shots instead. One Last Important Piece of Advice: Arrive Early! On the day of your session, give yourself plenty of time to get there. 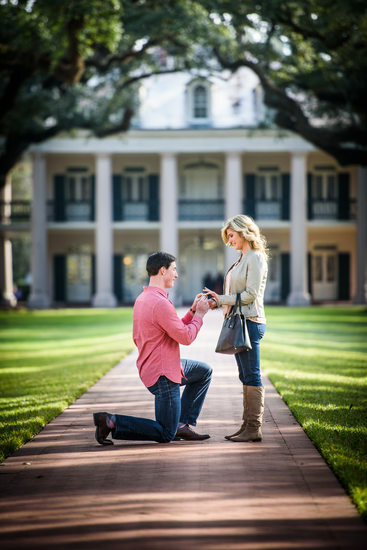 This is true no matter where your engagement portrait will take place, but is especially the case for areas where accessibility and parking can be difficult, such as the French Quarter. One reason is that since we will usually be shooting during that last hour before sunset for the best light, we have a limited amount of time to work with, so starting on schedule is important, and as most New Orleans residents know, it almost always takes longer than expected to get where you're going, especially around that late afternoon time when we'll likely be shooting. But secondly, and perhaps even more crucial, if your hair and makeup took longer than expected, and you are running late as you battle your way through traffic and struggle to find a place to park, all this is going to be extremely stressful and may even result in a little quarrel between the two of you in the car, followed by a frantic and fast-paced walk to out meeting spot. It goes without saying that this might put a bit of a damper on your mood and temporarily make it more difficult for your true chemistry as a couple to show, which will come through in your pictures. So, plan to get there at least half hour or so before the portrait is scheduled to begin. If everything goes smoothly you’ll get there early and can relax with a drink for a little while before we begin shooting. And if you’re running late, you’ll still be on time!